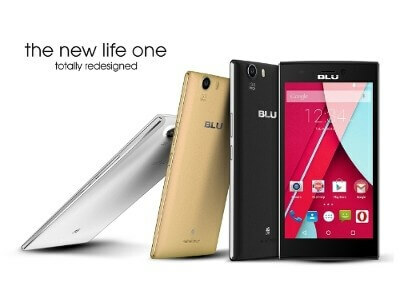 Today, US-based BLU announced the updated Life One for 2015 which will be available on June 19th and are offering an amazing pre-sale price of only $99 for this dual-SIM Android phone. The updated version of the Life One for this year sports improved specifications and features and certainly makes a splash on the mid-range of devices that are out there. The Life One has also improved in every way when it comes to performance. Powered by a 64-Bit Qualcomm Snapdragon 410 Processor that is designed to provide blazing 4G-LTE speeds, high performance capability, and long lasting battery efficiency. There is also improved performance and quality on cameras, including faster autofocus and clearer images, with a front facing 5.0 mega pixel front camera, and 13 mega pixel autofocus on the back with a Sony IMX135 sensor, 8GB expandable memory and 1GB RAM. The Display includes a brighter than before 5-inch HD display for the New Life One, protected by Corning Gorilla Glass 3, shipping at launch with Android v4.4 KitKat and upgradable to v5.0 Lollipop in July. That last bit is important: Lollipop will be available for this device and likely on nor near the release date. Quad-core 1.2 GHz with 64 bit architecture. Now through June 19th at the BLU Amazon store, you can get the Life One for only $99. That is an outstanding price for a dual-SIM phone that has these nice, mid-range features.